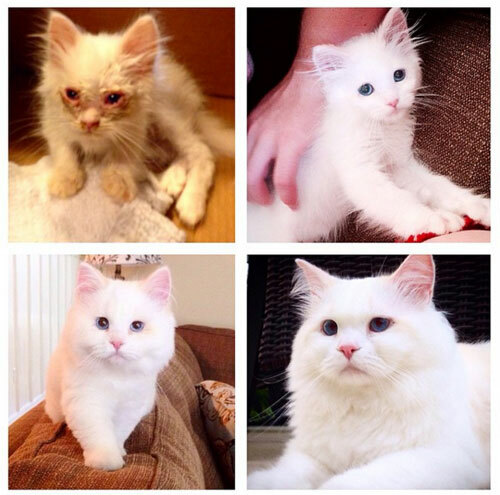 Sick Abandoned Kitten Becomes Big Handsome Fluff Ball! 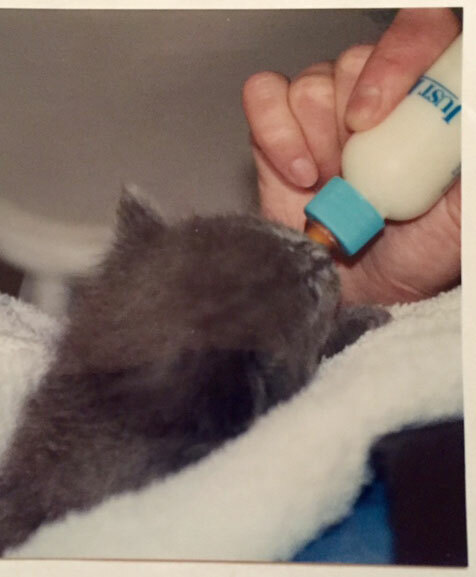 See what happens to a kitten that was injured, abandoned and a mess… see what good food and love and care can do? The formerly skinny and sickly kitten is now a big fluff ball! Silas was found by a Florida family by the side of the road. He was sick, starving and homeless. They nursed him back to health. Look at the handsome boy he became because of their love and care! 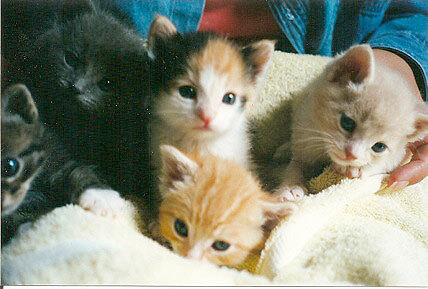 The kittens soon after they arrived. A neighbor who worked in the old Lincoln Heights Jail found them huddled in a corner. Some of the building was adapted for other uses, but large areas remained empty. He waited for the Mom to show up, but she didn’t—so he picked them up and wrapped them in a towel. They were thin, dirty, and scared. Obviously Mom was having a hard time feeding these little ones. Other cats had been found in the building, too. He drove around the neighborhood trying to find someone to take them in. The local shelter had told him that they were overwhelmed with kittens and would have had to euthanize immediately. At two weeks old, they would need constant care and feeding, unless Mom or a surrogate could be found. We needed a team of people to take care of these little guys— they were so tiny, and keeping them warm, clean and fed was a challenge. 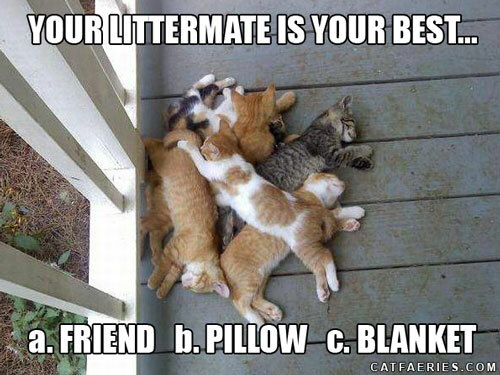 They were covered with dirt and fleas. And they had never seen humans before. But soon, they were thriving. And we all developed a deep respect for cat moms— we needed several people feeding around the clock to approximate the love and care of one Mama Cat. 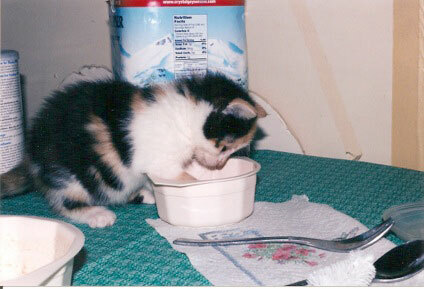 Clio liked to help mix up their baby formula. 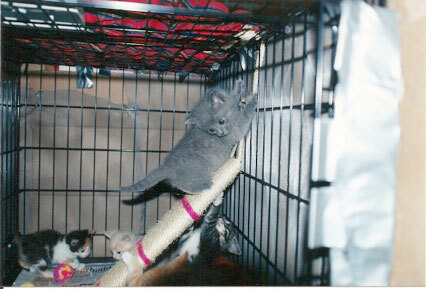 At six weeks, they were tearing around their playground. 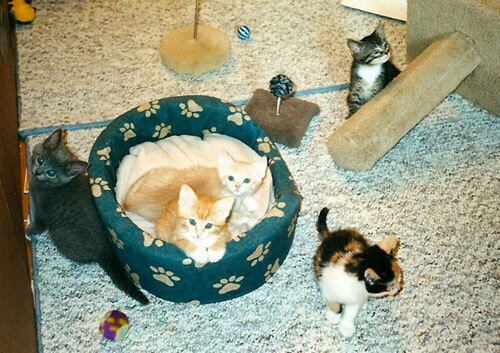 They all grew up to be beautiful, loving kits. 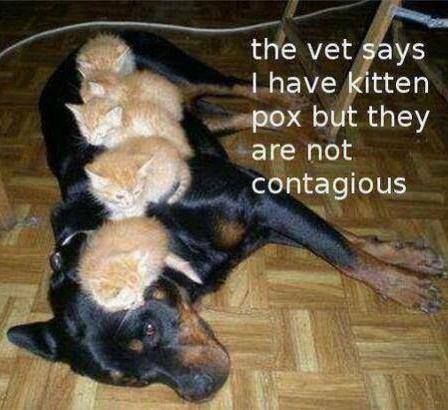 Haven’t we all had Kitten Pox during our lifetime? I know I have! Survived perfectly and anxious to have it again !!! 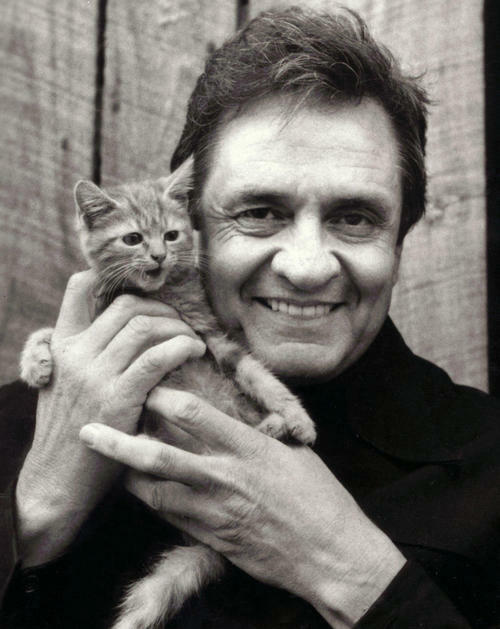 Johnny Cash’s birthday was last week on the 26th! Isn’t he cool with his feline friend? He was the coolest of the cool!